Though people generally do not think of them in such terms, crows are remarkably graceful: from the tip of a crow's beak to the end of its tail is a single curve, which changes rhythmically as the crow turns its head or bends toward the ground. Foraging on their long, powerful legs, crows appear to glide over the earth; they take flight almost without effort, flapping their wings easily, ascending into the air like spirits. Nevertheless, the whiskers around their beaks and an apparent smile make crows, in a scruffy sort of way, endearingly `human'. In a vast range of cultures from the Chinese to the Hopi Indians, crows are bearers of prophecy. Because of their courtship dances and monogamous unions, the Greeks invoked crows at weddings as symbols of conjugal love. Crows are among the most ubiquitous of birds, yet, without being in the least exotic, they remain mysterious. 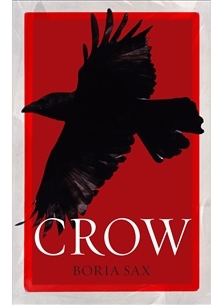 This book is a survey of crows, ravens, magpies and their relatives in myth, literature and life. It ranges from the raven sent out by Noah to the corvid deities of the Eskimo, to Taoist legends, Victorian novels and contemporary films. It will be of interest to all people who have ever been intrigued, puzzled, annoyed or charmed by these wonderfully intelligent birds.